This is a cool map of the world, that you can mark where you have been ! It has a nice gold colored material on top, and when scratched, has different colors underneath for different countries. 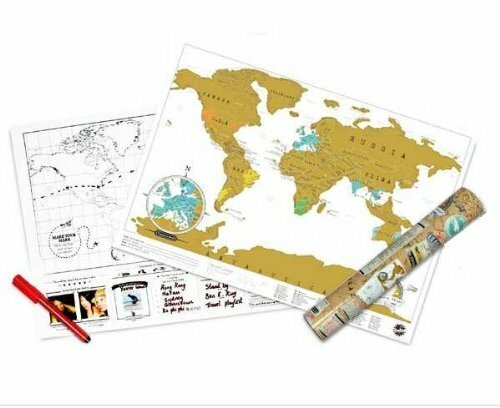 Ideal gift for a frequent traveler or anyone interested in the countries of the world. Scratch for fun to personalized where you have been. Get a unique, slick looking gold wall map to start with. Featuring color and geographical detail. Dimension: 42 x 29.7 cm Weight: 1lb.